A Frugal VacationEliminate The Muda! Just about this time last year, things in corporate America were just starting to look very bleak. Contrary to typically optimistic views, concerns that pink slips were being drawn up led me to make a few decisions to prepare for the possibility of joining the ranks of the unemployed. We took a closer look at the budget for additional cost reductions and thanks in large part to the continuous effort of my best friend and lovely wife we saw a wonderful improvement. We also altered our typical approach to vacations. While I worked through the year, the family took a week at the beach staying with the grandparents. 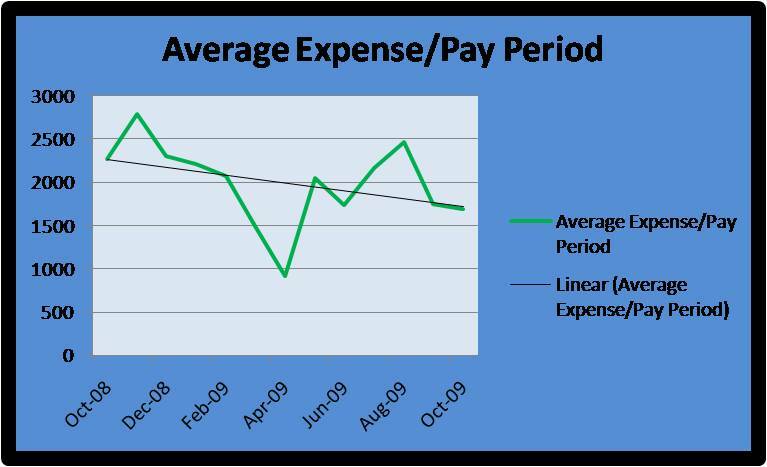 My wife’s hard work saved us nearly an entire pay period worth of expenses through the course of the year. Taking an unconventional approach towards vacations also saved us about as much. Because of our success and the improving market conditions I finally feel comfortable enough to take some time off. I mentioned to a coworker today that this was my last workday of the year and that Monday would be my first day of vacation this year. He chastised me for not taking time off earlier in the year and even suggested that it wasn’t fair to my wife and kids. He was right. Out of roughly 8,700 hours each year, 2,800 is spent sleeping, 2000, at minimum, is spent working, 191 is spent commuting, 1456 is spent watching TV, 728 hours are spent eating, and then there are all the little details like taking showers, housecleaning, paying the bills and reading the paper. It is because we spend so much time doing so many other things that we want and look forward to a vacation. However, while we think of vacations as an opportunity for quality time with the family, often, while memorable and certainly worthwhile for their own reasons, during vacations a family is more focused on the vacation rather than on each other. We either visit family dedicating every waking hour to catching up with Grandma or Cousins or we head to a vacation destination and focus our energies and attention on the sites and experiences. The end result is whether on vacation or not we simply don’t spend enough time really reconnecting with the people that matter the most to us. Because the economy has not fully recovered nor has my income, this vacation will be a frugal one. But it will likely be much better for focusing on our most valued possessions; our children. We will be spending the next two weeks at home. Meals are being planned with a variety of family recipes including homemade breads, chilli con queso and fried wontons. On the agenda are a few trips to local museums and historical sites. Most of which will cost little or nothing. The games are lined up including the newly acquired Scrabble Me!, Life, Monopoly (my favorite) and of course a deck of cards. While a trip to New York, D.C. or San Francisco would be nice or a trip to someplace more exotic like Egypt, the Yucatan, or Japan would be wonderful; I believe in the future, when the kids look back, they will remember this Christmas Holiday as much or more than any other. I believe this because when I think back to my childhood, my fondest memories were of similar times, sitting in front of a roaring fire making smores and listening to holiday music while admiring the Christmas tree at home with Mom and Dad. You have a great idea for your vacation in my opinion. When we travel for vacation I usually end up getting so stressed out I need a vacation to recuperate from my vacation. That, and I turn into a walking ATM machine for everybody (which stresses me out even more). .-= MBAbriefs´s last blog ..How to analyze stocks like a pro =-. Wow, that’s an interesting take on your vacation. You’re right, more focus should go to the people you are with, rather than the place you are at. .-= David/Yourfinances101´s last blog ..Top Seven Things You Should Never Buy/Pay For =-. MBAbriefs – See, it’s been so long since I’ve been on vacation I completely forgot about the impulsive spending side of the equation. Last year in NY city…OMG! David-Thanks for stopping by for the first time. I will be returning to Yourfinances101 for more.